Jonathan, thank you for helping us short-sell our home. it was a very emotional decision for us, but your constant communication, honesty and dedication really helped the process run smoothly. When all was said and done, we walked away with our heads held high knowing that we made the right decision in working with you. We are grateful and appreciate all the hard work you put into helping us." I just want to thank you for all of your help with my short sale. You and your team were all so professional and supportive during a very stressful and emotional time in my life. You carried me through it all with little effort on my part and worked all your magic in the trenches. These are tough times, and I am happy to recommend you to other people who find themselves in this predicament. Keep up the good work. You make me believe that there are still people out there who care. "Working with Jon was nothing short of a positive experience for me. Jon was very knowledgeable and answered all my questions as did the other people I talked to at Done Deal Solutions. Jon was very easy to get a hold of and always returned my call if I left him a message. I recently read an article about short sales. It said that only 5% of the houses listed as short sales actually get bank approval for the short sale and avoid foreclosure. I feel lucky to be a part of that 5%. 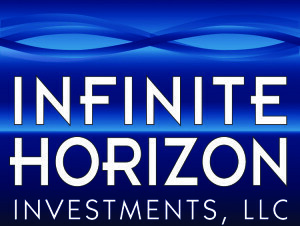 Thank you Infinite Horizon Investments." "Jon handled two short-sales for me in Gilbert, AZ. I was extremely pleased with his knowledge of the procedure; the way he handled negotiations with the bank; his efficiency (and his availability) in sending me the required documents to execute, as well as advising me of those I had to produce. The sales were quick and he took complete control in dealing with the banks which lifted a big weight off my shoulders. I would not hesitate to call Mr. Blaha for my Arizona real estate needs in the future." I recently found myself in a troublesome real estate situation and was really unsure about what to do or where to go for help. I called a lot of companies but never got the feeling they could get the job done. After speaking with Jonathan Blaha I felt completely confident that my situation could be resolved. I never felt stressed or worried throughout the process because I received regular updates and felt that everyone at Infinite Horizon Solutions genuinely cared about getting a positive result out of my situation. My property closed within a matter of weeks! With the way the housing market is currently it's nice to have a company that can delivery such superior results. I was in a situation where I had purchased investment property outside of my local area, when the housing market crashed and the bank was looking to foreclose, Jon was there to provide me an alternate solution. he negotiated with both of the bank and the HOA and quickly performed a short sale and closed in less than 60 days. He was professional and responsive and a pleasure to work with. I would highly recommend his services. Last year our daughter became ill with a debilitation back problem. When we were thrown in to foreclosure due to medical bills our mortgage lender referred us to Infinite Horizon Investments. With less than seven days to our auction date, they were able to stop the auction and give us a new start. We are forever thankful to God for having met them. In 2010, I was facing foreclosure of a condominium I owned in North Scottsdale, when a friend of mine suggested I consider a short-sale instead of foreclosure, and referred me to Jon. This turned out to be one of the best moves I have ever made. Jon was very knowledgeable about the process, and handled everything like a real pro. It was an incredibly complicated deal and Jon guided me expertly through the entire process and managed all negotiations with the mortgage companies. Eventually, my place sold, and I now live in a much nicer place for a lot less than I was paying before, and my credit has already recovered, much more quickly than it would have had I foreclosed. Jon is also a very friendly guy and has incredible knowledge of the mortgage industry. I would strongly recommend Jon to anyone who needs help buying or selling their home. 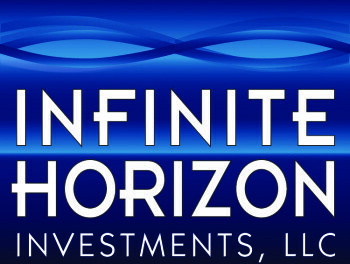 My wife and I had the pleasure of working with Jonathan Blaha and Infinite Horizon Investments this past year. We could not afford to live in our home and we wanted to avoid foreclosing. I was referred to Jonathan and his company. From the beginning, he had excellent customer service. He explained the process and how his company worked. He communicated our status every step of the way. We had a complicated mortgage situation and he made sure we knew what was going on at all times. He promptly returned all of our phone calls and emails. We felt confident we could avoid foreclosing. Through the realtor walk-throughs and insurance company requests, Jonathan stood by us every step of the way. He understood our frustration with the mortgage companies and ensured us he was doing everything possible to get this situation resolved. We believed him. Jonathan and Infinite Horizon Investments were successful in getting both mortgage companies to agree to a short sell. He found another buyer for our home and he even helped us with our utility bills since the process took longer than expected. We did not care how long it took as long as the outcome was what we wanted. I would definitely recommend Jonathan Blaha and Infinite Horizon Investments to everyone that wants to avoid foreclosure and wants to short sell their home. He was a pleasure to work with and his company was incredibly effective. Infinite Horizon Investments put in endless hours in order to get our short sale process complete. Jon jumped through so many hoops to get us to close such a difficult chapter, he is amazing. I can't say enough about how happy and thankful we were to have you and your expertise through that process. I am financially in a much better place now than I was when I first contacted you about my property. I have been able to keep all of my other properties and even pay off some 2nd mortgages and been able to refinance others. None of this would have been possible without your help! I would recommend your services to anyone. Now that you have your real estate license, I could assure any potential clients that you would bring the same commitment and care that you did working with me to any deal. I would like to thank Mr. Blaha for his professionalism and expertise in completing two short sales on my properties. In my opinion, it was your extensive knowledge and interest in this business that confirmed I had chosen the right person to complete these transactions. I was impressed that you completed these in a timely manner. With many details to follow and people to converse with, I did not worry about a potential problem that could surface, because I had complete faith that you would take care of it. Thank you so much and I look forward to working with you in the future. Although I was skeptical to hire someone to help me Jon came recommended by a friend and he helped me get out of a bad mortgage in the best possible way. I even got money to help me move! Jon brought ease to the process. I would recommend him to anyone struggling with their bank about a home. Jonathan Blaha was a GREAT asset to me when I was looking to do a short sale on my home. He was patient with me and answered all my questions. He was very helpful in explaining all that would happen and what would be required in this process and was there for me all the way. Thank you Jonathan for ALL you did for me, not once did I feel I was going through this on my own. I owe a lot of thanks to Jonathan and Infinite Horizon Investments. The bank was going to foreclose on my house and Jontahan sold the house for me and prevented me from having to foreclose. He not only did this in a very short period of time, he walked me through the steps and made sure it was very easy for me. I wouldn't have been able to sell the house without the help of Jonathan and to be honest if he did't make it as easy a process as he did I wouldn't have even tried. I just wanted to thank Jonathan Blaha and Infinite Horizon Investments for the wonderful work they did with my short sale. I had just received my foreclosure notice and felt that there was nothing else I could do until I spoke with you. You took hold of the project, found investors, settled with the lender and completed everything for me before the foreclosure date. You really got me out of a jam in a professional and timely manner. Thank you for all that you have done.